We’ll come to you to remove the vehicle – for free! 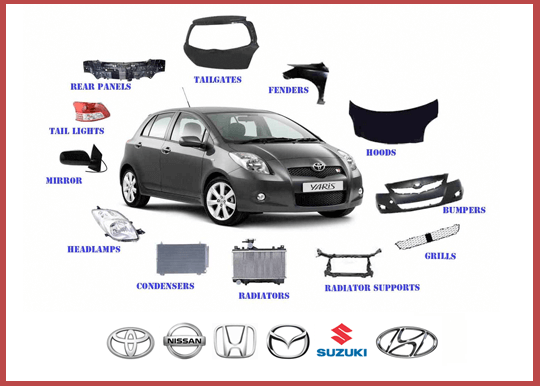 At Japanese Car Parts, we make it as easy as possible to get the best price for your unwanted Japanese car, and to get rid of it fast. To find out how much your old car is worth, call Car Wreckers on 0800 392 392 today to get a quote or complete a form on this page. The service you get when you contact us will be second to none. Firstly, the quote we provide is completely free and there is no obligation. You will also be dealt with professionally at all times. If you are happy with the quote and want to proceed, we will arrange a collection time for your vehicle that suits you. We only work during daylight hours for safety reasons, but we can remove your car at the weekend if required. Plus, our trucks are well-maintained, and our drivers are well presented. more about Japanese car removal in Auckland. The Japanese Car Parts head office is in Auckland, but we operate through the North Island. In fact, we have 15 vehicle removal trucks on the road every day covering everywhere from Auckland to Hamilton to Northland. We also have branches around North Island, making us the best placed Japanese car wreckers for your needs. To find out more about where we operate, click here. To give the best possible service to our customers, and to pay the best prices for unwanted Japanese cars, Japan Car Parts only operates on New Zealand’s North Island. However, we are one of the most respected names in the country. Car wrecking industry and have several contacts and partners on the South Island who can help if you are located there. Please call Car Wreckers on 0800 392 392 and we will give you the contacts and advice you need. Japanese Car Wrecking Process What happens to your vehicle after we pay you and take it away? This is important to understand, particularly in relation to the environment. Our Japanese car wrecking process ensures there is the as little impact on the environment as possible. We firstly drain and then recycle any remaining oil or petrol in the car before removing spare parts that can also be recycled. We then crush the car’s body so it can be recycled too. In fact, we recycle every part of the vehicles we buy, including individual nuts and bolts.